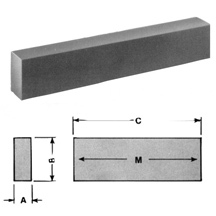 The MCA05119 AlNiCo Bar Magnet is made from high performance AlNiCo 5. The dimension also can be customrized. The item No.is also named 40C0043.